Live it! 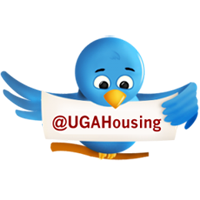 UGA Housing: Best Female Room: Where are they now? Best Female Room: Where are they now? 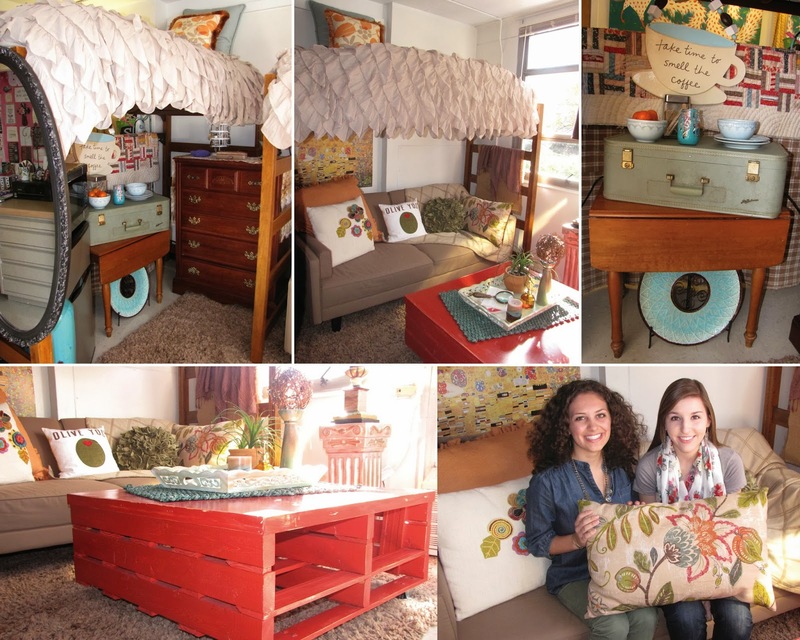 Sarah and Audrey's 2012 "Best Female Room"
Last year, Sarah Carnes and her roommate, Audrey Wright, swept the annual Room of the Year contest with the "home-style" decor of their Mell Hall room. 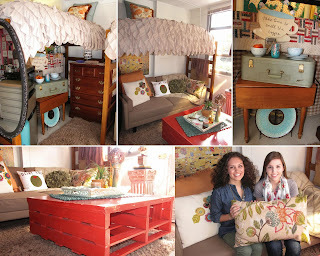 Their Pinterest-inspired arts and crafts and living room set up earned them the title of "Best Female Room" for 2012 with a margin of more than 300 votes. 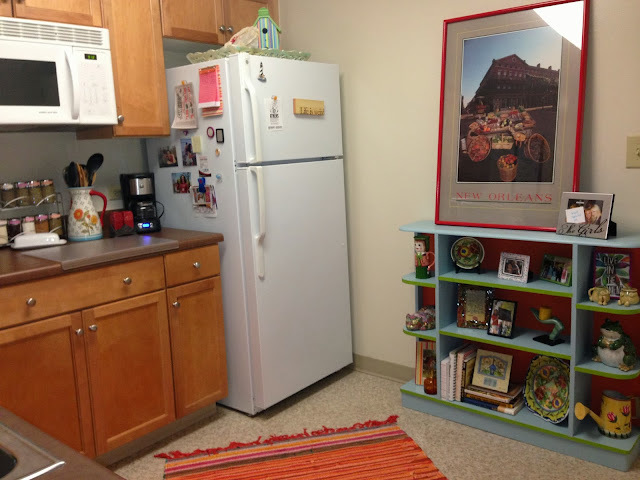 University Housing caught up with Sarah Carnes to talk about her participation in last year's contest, her big win, and her living space on campus this year - and we got some pics too! SC: It took a good many shopping trips over the summer to find the perfect pieces that fit into the homey/eclectic like feel we were going for. The fact that we constructed one-of-a-kind pieces also added to the total time we spent on making our dorm just as we wanted. 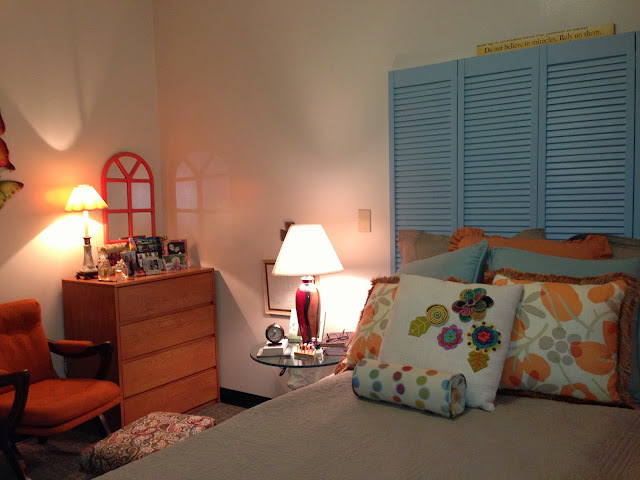 SC: Competing in - and going on to win - the Room of the Year Contest was one of the highlights of my freshman year. 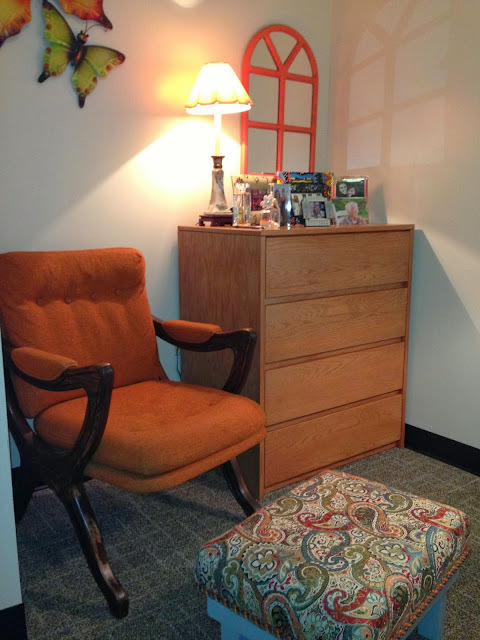 I see the opportunity as a great way to encourage first year students to grow closer to their roommate. SC: My roommate, Audrey, and I knew that we wanted to enter the contest before we moved into 323 Mell Hall. We saw it as a fun way to begin our tenure at the University of Georgia. I'm also pretty sure I used the contest as an excuse when my dad asked why I needed everything I did. SC: We chose to live in Vandiver Hall, mainly because we still wanted to live on campus but in a more apartment style residence hall. SC: We didn't have to worry about scrambling to sign up for housing - it was all taken care of long before registration was even open, thanks to all of the helpful University Housing staff. SC: We did indeed! I'm a true contender that you should live in comfort; that your home (whether it be temporary or permanent) should offer a sense of solace - give you peace of mind, especially after a long day. There's much more sitting space in Vandiver Hall! Similar colors, different room. Same unique style! 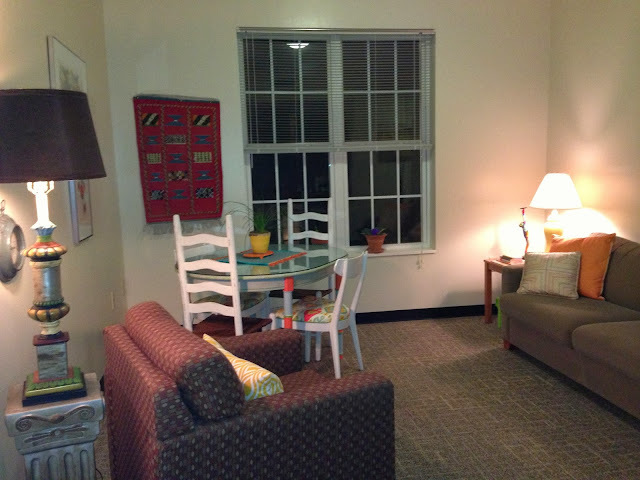 Apartment-style spaces in Vandiver Hall have room for all of Sarah's "home-style" decor. Apartment-style living complete with a kitchen!